If the camera roll on your mobile phone is anything like mine's it's quite a mess. I've got thousands of photos collected over several years and they're not all selfies, landscapes and shots of my lovely grandchildren. Mixed up among them are photos of many other things: items I might want to buy, things I plan to sell online, whiteboard notes from business meetings and interesting buildings I happen to see. And my phone has turned out be be a handy way to capture those hard to see model and serial number stickers on kitchen appliances and the backs of television sets. I wish the photos were better organized but I didn't have a good way to do it until I encountered the Utiful Photo Organizer. 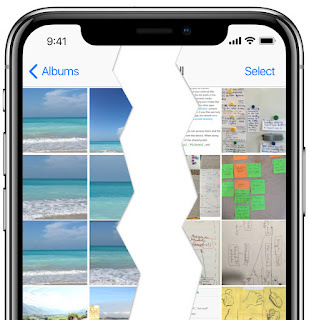 It's a mobile app that can bring order to mobile photo chaos by helping you sort your photos and assign them to folders keyed to different topics. I wrote about Utiful a few years ago when it was only made for Android devices. Now there's an iOS version that performs nicely on both iPhones and iPads. 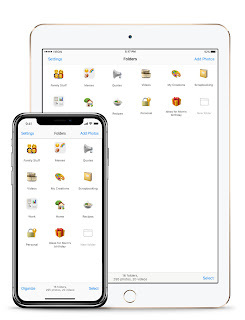 To put Utiful to work, connect it to your photo library, then check off the images that you want to store in their own folders. Then click "Move" and either create a new folder or select an existing one. For deeper organization, you can create subfolders inside each topic folder. Once the pictures are in their new their new home, you can delete them from your devices and and from iCloud. Utiful for iOS costs $9.99 in the Apple App Store. 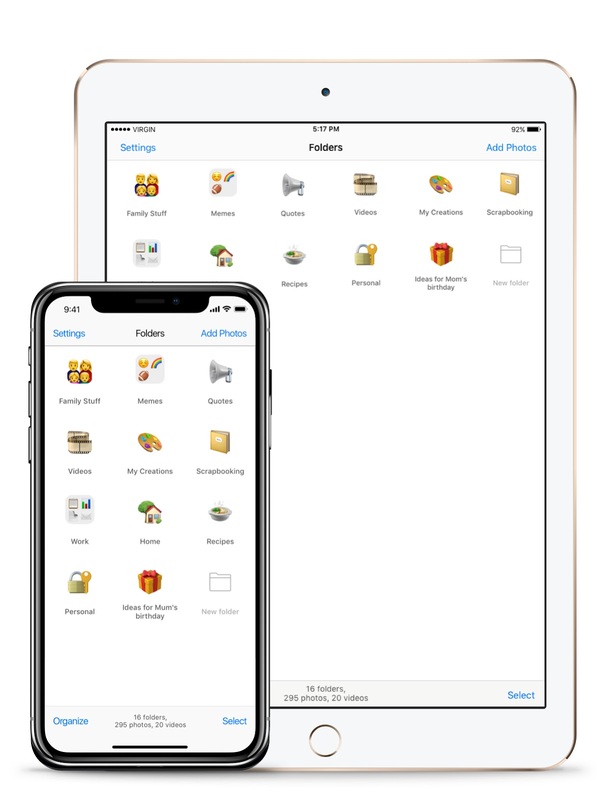 Users can purchase the app once and install it on their iPhone and iPad so both devices can share the same library. There's also a version available in the Google Play Store. Utiful has an official Facebook page where the developers answer questions about the app and collect suggestions for new features. There's also a Utiful User's Group on Facebook where users swap tips and suggestions. The app has become especially popular with crafts people and scrapbookers. For more details, check out he video below and visit the Utiful website. You can also follow @utifulapp on Twitter.